Winter or summer, the Pocono Mountains are an incredible destination for everyone. 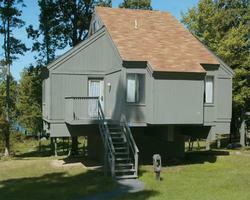 Making the most of this location is easy with a stay at Eagle Village at Tamiment Resort. 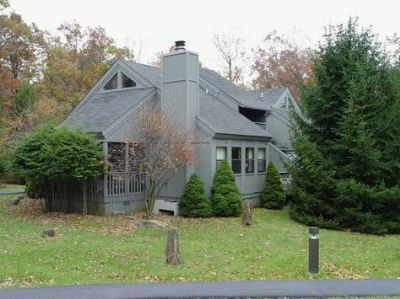 This property has everything that's necessary for a memorable vacation, so choose one of these Poconos timeshare resales if you want to experience this beautiful region for yourself. Visitors of all ages will find multiple reasons to love the Poconos. When the snow falls, skiers, snowboarders and snow shoe enthusiasts flock to Pennsylvania. Things are no less enchanting in the summer when the fun turns to hiking and mountain biking. Throughout the year, visitors browse the outlet stores, attend a play or concert, discover a new brew pub or take a tour of a living history museum. Water sports like fishing, whitewater rafting and kayaking are also popular. 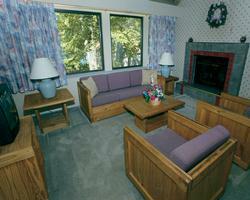 Eagle Village at Tamiment Resort is designed to maximize the four-season fun of the Poconos. A 90-acre lake makes it convenient to seek the catch of the day or to enjoy a quiet row. Timeshare owners and guests also have access to a fully-equipped recreation center, which is complete with an indoor, heated pool. The resort has a fitness center in addition to a game room. Visitors entertain themselves with ping pong, foosball and air hockey or get active on the sport courts, which include facilities for tennis, basketball and volleyball. The playground is designed to promise fun for the little ones, while the nine-hole mini golf course is an attraction for everyone. 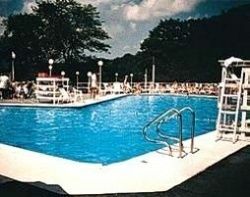 These Poconos timeshare resales consist of two- or three-bedroom villas. All villas are two stories and many have stairs both inside and outside. A fireplace and washer and dryer ensure that every stay is cozy and convenient. Televisions with DVD players are found in each living room. Full kitchens are equipped with all major appliances and common utensils for straightforward meal preparation. Units can sleep either six or eight guests with a pull-out sofa in the living room. 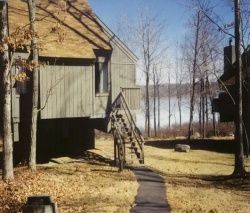 Eagle Village at Tamiment Resort is a rustic property that is geared toward family fun. Choose these Poconos timeshare resales for getaways everyone will treasure. Contact Eagle Village at Tamiment Resort Specialist Today! We have owned this property for 30 years and spent every summer here when the kids were growing up. They loved fishing off of "their rock" and picking wild blueberries. So relaxing here, it's not all about go go go, but family time. It's right down the road from Bushkill Falls. We're now in our senior years and spend our vacations traveling the country and world. We have exchanged this week for resorts in California, Costa Rica and Florida to name a few. This resort has both activities as well as many others!